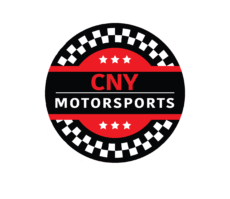 DUNDEE, NY – Former Upstate, NY dirt track racer and successful local businessman, Stan Koziatek recently announced that his family owned company, Stan’s NoTubes will be the headline sponsor of the Street Stock Division at the Outlaw Speedway in Dundee, NY. Koziatek, who is no stranger to victory lane at the former Black Rock Speedway, now known as Outlaw Speedway has deep roots in racing in the region and liked the idea of incorporating his company’s name to the popular Yates County speedway. Established in 2001, Stan and his wife Cindy, both bicycle enthusiasts formed Stan’s NoTubes after being frustrated with continual flat tires during their competitions. With the invention of the potent liquid tire sealer Stan’s NoTubes has revolutionized the industry and now they are looking to introduce the local short track racers to the product. In a recent display at their production shop, technicians showed in numerous experiments how rocks and other very sharp objects could protrude directly thru the tread or even the side wall and as soon as the object was removed the leak was immediately sealed up. “I firmly believe that this product which was invented for tubeless bike applications can be applied to tubeless tires raced at Outlaw Speedway.” Again those comments from Koziatek. The Stan’s NoTubes Street Stock Class that competes weekly at the Outlaw Speedway provides some of the best competition week in and week out. Two time and defending Track Champion, Glen Whritentour of Jasper, NY will be back in 2019 to try and make it a three peat. In addition to sponsoring the class Stan’s NoTubes logo will also appear on the tracks web site. The next upcoming event for Outlaw will be the Annual Arnot Mall Car Show on March 30 and 31 featuring 2 huge days of amazing car show displays as well as the tracks autograph session and tire changing competition with sponsors soon to be announced. For more information relevant to Stan’s NoTubes go to their extensive web site at www.notubes.com. For more information pertaining to the track including the entire 2019 schedule of events simply log on at www.outlawspeedwayllc.com.